This according to the Global Entrepreneur Indicator published this month, covering a study of six months upto 30 September 2013, which forecasts profitability increases, full time employment growth and opportunity to increase working capital for NZ businesses. 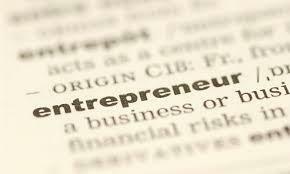 The indicator itself is generated from a survey of every chapter of the global Entrepreneurs’ Organization (EO). “The most dramatic difference between New Zealand and the rest of the world is our members’ outlook on the country’s economy,” said Tony Falkenstein, communications chair of the NZ Entrepreneurs' Organization (NZEO). The survey states that NZEO members are finding access to capital easier, more than 90 per cent of them are inclined to start a new business in the current year, and three quarters of them plan on increasing full-time employees in the next six months as opposed to 63 per cent globally. The survey also found that the debt load has increased for 36 per cent of NZ businesses, as opposed to 28 per cent globally. The next six months will see the load grow for 38 per cent of businesses, while the rest of the world stands at 27 per cent. NZEO was founded in 1998 and has 50 members with an average age of 46 employing more than 1,600 staff representing industries from accounting through to waste management.